When parents send their children to school, they expect that they will be safe and taken care of, and that usually is the case. Unfortunately, both at school and elsewhere, kids are vulnerable to people who don’t have their best interests at heart. All too often, it is even the child’s parent or guardian who is not treating them properly. In most states, teachers and other school employees are mandated reporters, and in some states, every single person is considered a mandated reporter. In a nutshell, this means teachers are legally obligated to report any signs of abuse or neglect of a child to the appropriate authorities immediately. Specific requirements and laws vary by state; this guide will focus on what the majority of states follow. Click here to find out what is required in your state. Whether you are a student, parent, or teacher, understanding what abuse is and what you can do about it is key to stopping it from happening. Sadly, experienced child abusers are very skilled at making children think they aren’t actually being abused, or that the abuse is their fault. This guide will touch on what abuse is and what mandated reporters are required to do, but the bottom line is, if you suspect abuse or have been abused yourself, you should seek help immediately, regardless of the situation. Childhelp also offers full definitions and explanations of physical, sexual, and emotional abuse, as well as neglect. Under these definitions, there are many acts or failures to act that can be considered child abuse. Even if you are not sure whether what you are witnessing is child abuse or not, it is better to err on the side of caution when it comes to protecting a child. If you’re wrong and you look into the issue more, then there is no harm done. If you’re right, however, and you decide not to look into the issue, you could unintentionally be subjecting a child to even more abuse. The simple fact that school employees are mandated reporters has ramifications for different subsets of the school population. If you are a teacher, this means that you have not only a moral obligation to protect the children in your care, but you also have a legal obligation to protect them. It’s a sad but true fact that you might be the only adult in that child’s life that cares enough about them to even notice, let alone report, abuse or neglect. This is a responsibility that is not to be taken lightly. If you are afraid to make a report for fear of your identity being linked to the report, know that in most cases, you will remain anonymous unless the case ends up in court. It is understandable to fear for your own safety in an extreme situation, but also think about how scared that child must be. It’s also very important that you are honest with your students, especially if you teach a subject that encourages students to open up, such as writing or art. You should be honest and up front with your students that while you encourage them to express themselves and will keep their secrets safe, there are certain things that you are obligated to report. Explain to your students that you are a mandated reporter, and what that means. This helps build trust between teachers and students, and it also gives students an easy and non-threatening way to inform an adult they are in danger. It’s comforting to know that you’re not the only one who has your child’s best interest at heart. If you suspect something is happening to your child or one of their friends, you can safely talk to their teacher about the situation. This can be helpful to get a second opinion and learn about what the teacher has observed. However, just because your child’s teacher is a mandated reporter and you are not, does not mean that you can’t report child abuse as well. You know your child best and you should always follow your instincts as a parent. If you even suspect something is wrong, don’t wait for a teacher or someone else to notice as well—do what you need to do to protect your child. Because your child’s teachers are mandated reporters, this also means that they could file a report naming you as the suspected abuser. If this happens and there is absolutely no truth to the accusation, remember that it was all done with the safety of your child in mind. If a teacher sees a suspicious bruise on your child or suspects something is wrong, it is always better to be safe than sorry. Be thankful that you have people in your corner who want to protect your child. The fact that your teachers are mandated reporters is really good news for you. It means that you can safely come to them if you are being abused. Sometimes it’s easier to go to a teacher than it is to a close family member. It’s also important to remember that they are obligated to report any signs of abuse or neglect, though. If you come to your teacher because you need somebody to talk to, you need to understand that they might file a report if they suspect something is wrong, even if you don’t come right out and say that something is wrong. This is a good thing, and it shouldn’t stop you from confiding in your teachers, but it is something you should be made aware of. As the definition of abuse is very broad, there is a wide range of actions that can prompt a mandated reporter to make a report. It is very important to note that a report should be made even if an employee only suspects abuse. No penalties will be made against an employee who reports suspected abuse. No real harm will come from an investigation that is made when there is no abuse present. However, a lot of harm and further abuse can come from suspecting abuse and not acting on that intuition. Any abuse, regardless of how long ago it happened, should also be reported. Even if the child is no longer in danger of suffering further abuse, reporting the abuse can help catch the abuser, and it can also help the child get set up with counseling. All abuse, especially sexual abuse, can leave lasting trauma, and the sooner a child gets help to work through what has happened to them, the better. ...an important aspect of an event (or pattern of events) is that it exceeds the victim's ability to cope and is therefore overwhelming. A child should not have to cope with abuse, and when abuse occurs, a child is not equipped psychologically to process it. The sooner a child is able to get help to cope with their abuse, the more long term effects can be diminished. Another important distinction about mandated reporters is that they are mandated reporters, period. This means that they are always required to report child abuse, not just when they are on duty and not just with the students in their classroom. 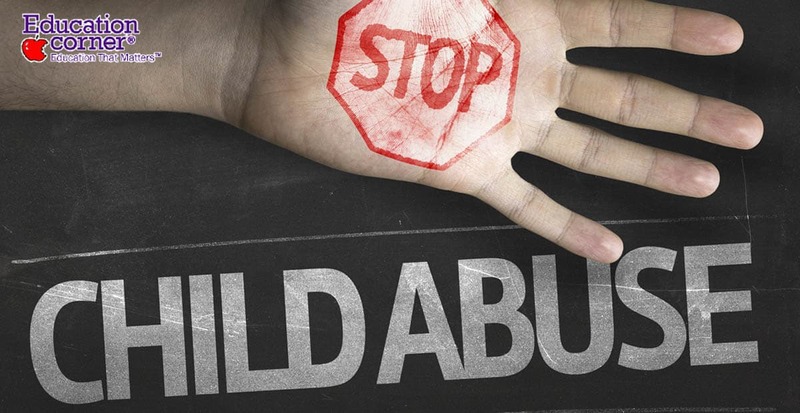 Abuse or suspected abuse of any child should be reported. For example, if a teacher is at the grocery store on the weekend and sees a child being abused, they should make a report. When making a report, mandated reporters do not need tangible proof of abuse; they simply need to explain the situation that prompted them to suspect abuse. In fact in some states, mandated reporters are required to report suspected abuse or neglect, even if they don’t have proof. There are many different ways to witness or suspect abuse or neglect, and what you witness as well as your relationship with the child has a big impact on how you should respond. If you witness abuse in action and you can safely remove the child from the situation, you should do so immediately and call 911. In many scenarios, a mandated reporter will hear about the abuse or suspect abuse through a conversation or a piece of writing from a child. If this is the case, there are few key things for mandated reporters to remember when responding. Don’t overreact; simply listen and be there for the child. If you freak out, this could lead the child to freak out and/or feel like they did something wrong. Let them know that they are heard and that you are going to help them. Do your best to gather as much information as possible to help with the investigation when you make a report. Do not, however, ask specific probing questions and do not lead the child in any way. Remember that it’s not your duty to investigate. Help the child understand that you believe them and that they did the right thing by coming to you. Also try to make them understand that the abuse is not their fault. If a child discloses an emergency situation to you, call 911 and keep the child with you if necessary. This varies by state, but most states involve a combination of reporting to administrators and/or guidance counselors, as well as reporting to the authorities. Many schools have individual policies for teachers or other employees to report to administration and/or guidance counselors. The report must also go to the appropriate authorities, and this report may be made by the employee who witnesses/suspects the abuse and/or their superior. It is extremely important to remember that as a mandated reporter, it is absolutely your responsibility to make sure the abuse gets reported. Regardless of the policies at your school, you need to make sure there is a report; telling the principal or a guidance counselor is not enough. In most states, this is the law. It’s also good practice for the mandated reporter to make the report themselves because they are the one with the first hand information about the abuse. If someone else makes the report, the mandated reporter should at least be with that person so they can offer any additional information to help with the report. When reporting to authorities, always dial 911 if it is an emergency situation and a child is in imminent danger. For other, less urgent situations, different states have different procedures. If you are ever unsure of what to do, you can call the National Child Abuse Hotline at 1-800-422-4453 or check out this document to find numbers to call by state. Any mandated reporter needs to report the suspected abuse as soon as they see or suspect it has happened. If a teacher is driving home from work on Friday afternoon and witnesses a child being neglected, for example, they should not wait until they get to work on Monday to make a report. Some states have laws that the report must be made immediately. For a teacher, this means not waiting until the end of the school day or until their next free period. It could even mean finding someone to cover a class and stepping out in order to make the report. There are some cases where action needs to be taken immediately, while the child is still at school and before they head home for the day. The sooner a report is made, the sooner a child can be removed from a dangerous situation. What if There is Push Back? As a teacher, what if the administration encourages you not to make a report? What if you’re told your job could be at stake if you make a report? What if the suspected abuser is an administrator or guidance counselor? What if you report to your superior and they tell you the behavior you are trying to report is normal or happens all the time or is nothing to worry about? None of this matters. File a report. It is your duty and your obligation to love and protect the children in your care. It is actually against the law for your superior to stop you from making a report. Never let anyone bully you into not making a report. It can be easy for someone in power to convince you that what you witnessed is okay or that there is no abuse happening, but you really have to go with your instincts and not stop until things are made right. Even if you are not a mandated reporter, there is absolutely no law saying you can’t report child abuse; you don’t need a fancy title to protect a child. If you see or suspect abuse or neglect, you can always make a child abuse report. If you aren’t sure of what to do, there are many resources and you can always talk to your child’s teacher or guidance counselor as well. Since they are most likely trained in recognizing and reporting abuse, they can help walk you through the process and even be with you when you call in the report. Child abuse and neglect happens way too often, and it also goes unreported way too often. Understanding who mandated reporters are and what their duties are can help lessen the underreporting of child abuse.